Toddler Approved! : Come Join Virtual Book Club for Kids 2015-2016! 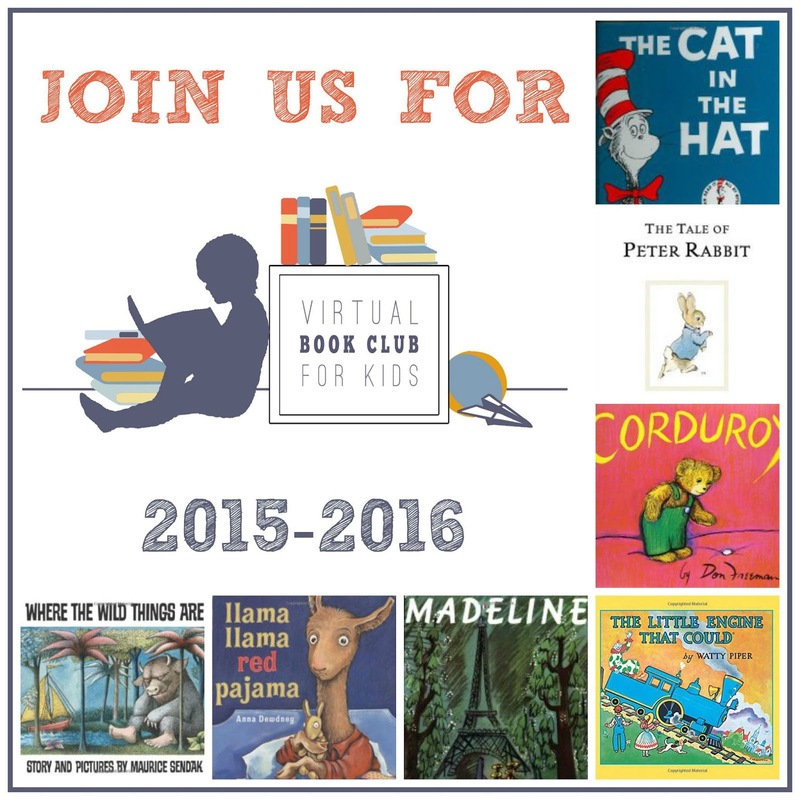 Come Join Virtual Book Club for Kids 2015-2016! 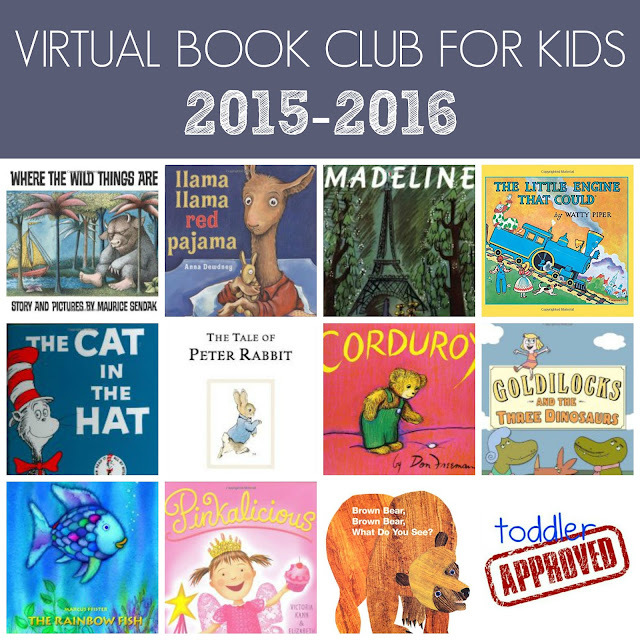 This year we are kicking off our 4th annual year-long Virtual Book Club for Kids and we are hoping you will join us! 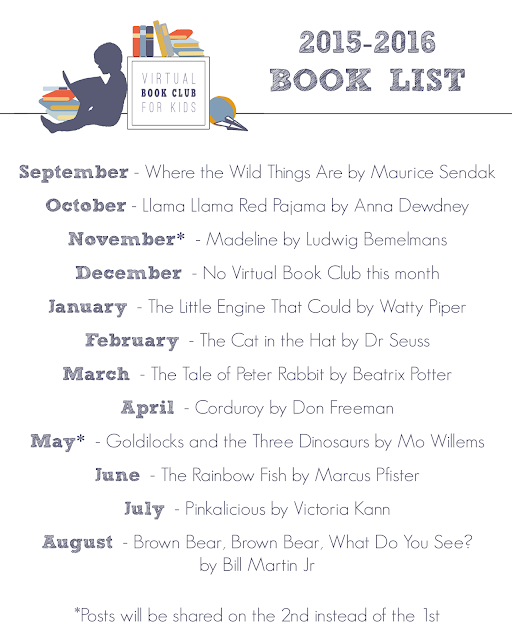 This year for Virtual Book Club for Kids we will be featuring one book by a different author each month... all year long! 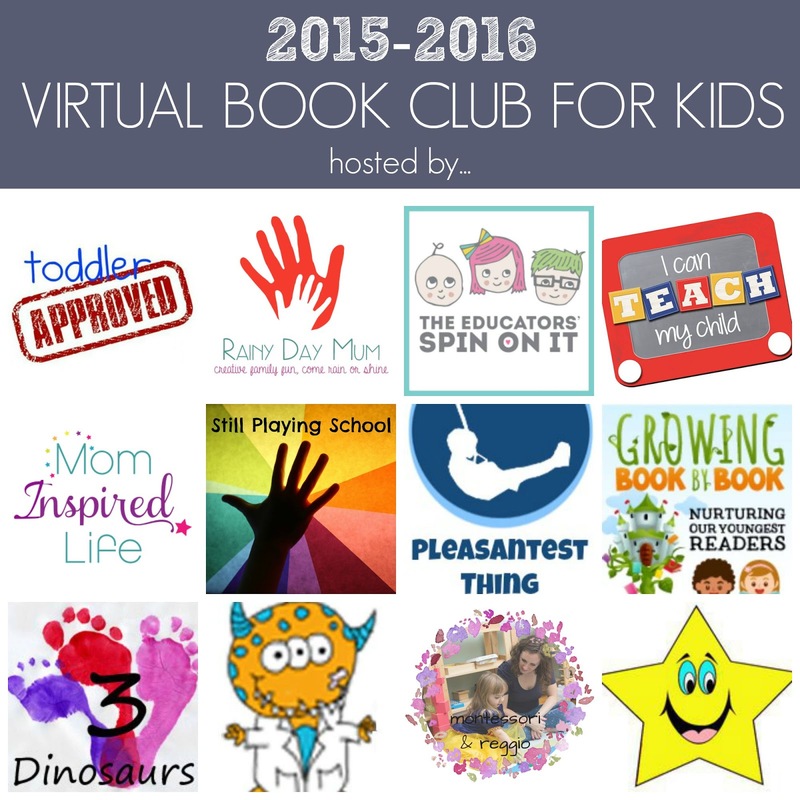 We are excited to have 12 wonderful bloggers participating as club co-hosts and they will be sharing book-inspired activities on their blogs each month! The book-inspired activities that are shared will be wonderful for toddlers and preschoolers and many can be adapted for older kids as well! 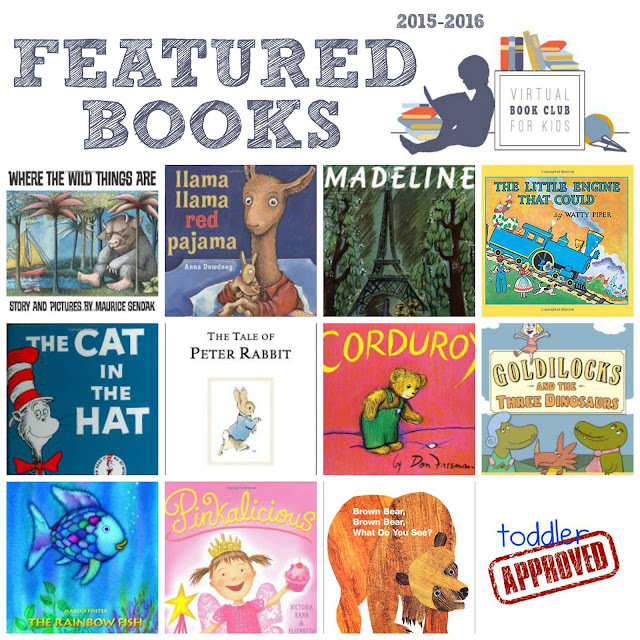 The books we are featuring in 2015-2016 are children's books that we love and think that all families should add to their home libraries! Below you will find our featured book list for 2015-2016 and more details regarding how you can participate in Virtual Book Club for Kids this year! We will be sharing all of the featured activities over on our Virtual Book Club for Kids Facebook Page so that they are easy for you to find. If you haven't "Liked" our Facebook page yet you might want to go follow along so you don't miss the activities. I will also be linking to each activity here on the 1st of each month. 4. (Optional) Create your own book-inspired activity using the featured book and either share it on your blog and share a link with us, or if you don't have a blog, just share a photo with us on our Facebook page. Don't forget to come back on September 1st to see all of the featured activities shared to go along with our September book- Where the Wild Things Are! We are joining! We can't wait to get started! Thanks for the post! We are going to join! And I'm going to see if some of the mamas in my local group will join too. Maybe we'll have group meetups for the featured activities! ~;o) Thanks - this is such a fun idea! This looks like fun! We will give it a go! We can't wait to do this! We're in! Can't wait! Thanks much for doing this! This looks like fun! Looking forward to following all year long! We are in too! Thank you for hosting this! Thanks so much! We can't wait to get started! This is wonderful! I will be homeschooling a couple of preschoolers and will use this for sure! We are going to join! This is such a cool activity!! Can't wait to get started! I am so excited to do this with my kids!!! Looks like lots of fun! Thanks for hosting! Excited for this book club! Thsnks! I home school my children. This will be a fun reading program for them! I cant wait to try this!